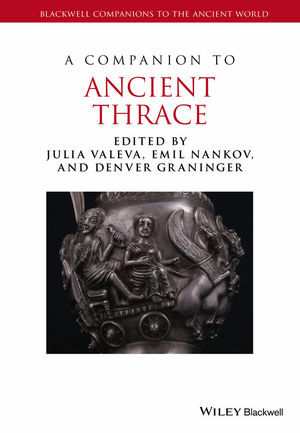 A Companion to Ancient Thrace presents a series of essays that reveal the newly recognized complexity of the social and cultural phenomena of the peoples inhabiting the Balkan periphery of the Classical world. Julia Valeva is Professor at the Institute for Art Studies at the Bulgarian Academy of Sciences. She is the author of The Painted Coffers of the Ostrusha Tomb (2005) and Typology of the Thracian Tombs (2013). Emil Nankov is the Archaeology Program Officer of the American Research Center in Sofia, Bulgaria. He is a co-editor of Heraclea Sintica: from Hellenistic polis to Roman civitas, (4th c. BC-6th c. AD) (2014). Denver Graninger is Assistant Professor of History at the University of California, Riverside and faculty member of the Tri-Campus Graduate Program in Classics. He is the author of Cult and Koinon in Hellenistic Thessaly (2011). "...this volume offers comprehensive and up-to-date essays on a variety of historical and socio-cultural issues that represent mainly contemporary Bulgarian scholarship on ancient Thrace...it largely fulfils what it promises and reveals potential for furtherbridging of the methodological insufficiency clearly inferred in a great number of texts."